As seen in Chicago Jazz Magazine: "Chicagoan David Bloom had a calling. Born into a family of educators and with a passion for music, aesthetics and self-expression, it seems he was destined to become a jazz teacher. 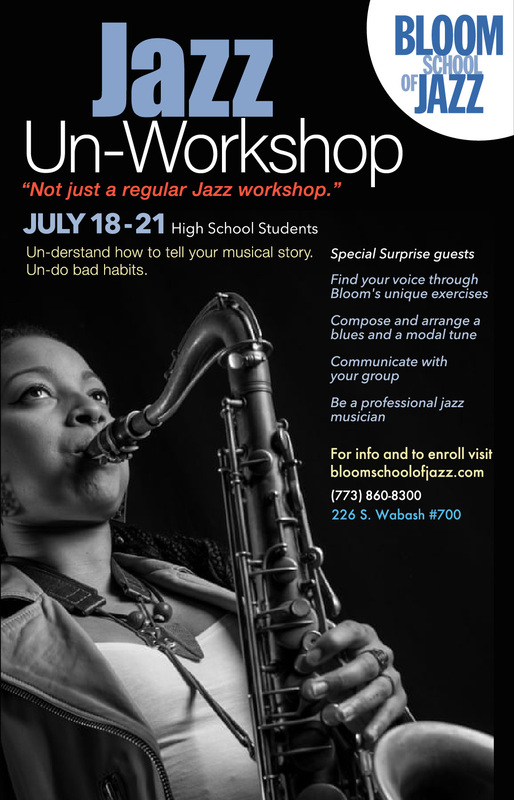 Unlike most music teachers who focus on a particular instrument, Bloom’s approach is primarily at the macro level––helping students and professionals alike to develop or fine-tune their jazz concepts. 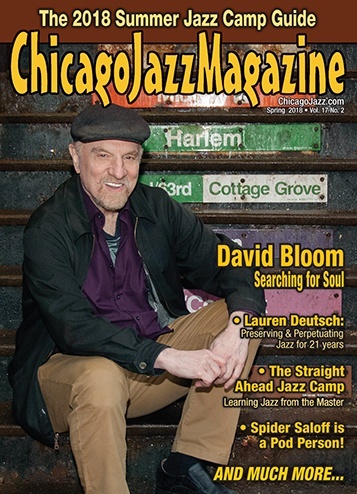 He is a master at cutting though to what matters, and of communicating difficult concepts to his students in easy-to-grasp ways..."
Below: David Bloom on the cover of Chicago Jazz Magazine (Spring 2018). Subscribe to the Bloom Jazz Blast - the email newsletter with a calendar of live jazz (featuring Bloom students and alumni), vital videos and tips for beginner and intermediate jazz musicians.